How to keep your nails strong, healthy and ready for any day! If they're too long, you run the risk of them breaking. Rounded edges lessen the risk of breakage and can look just as nice as long nails. 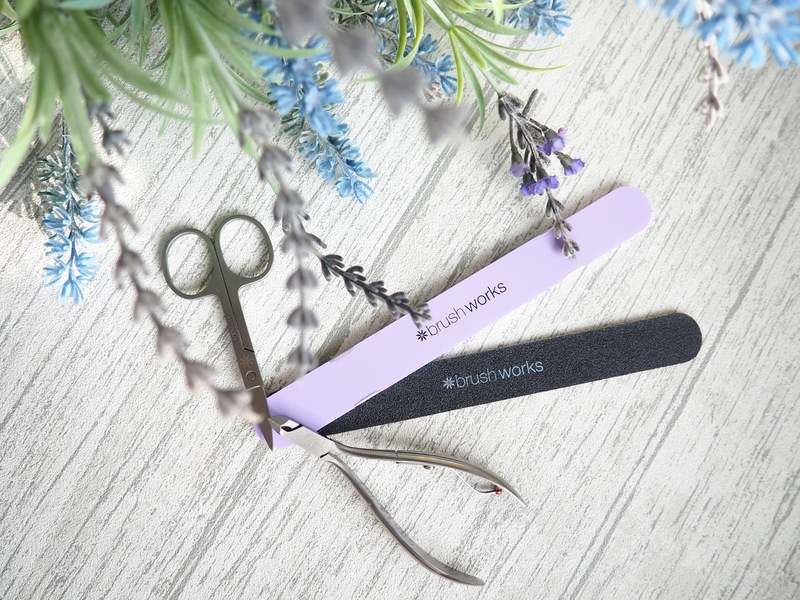 These Brushworks nail scissors & files are perfect to keep your nails preened & pretty. Nails are delicate, they need looking after. Wear gloves when needed, and moisturise! There are so many hand creams out there with the added benefit of nail/cuticle moisturisers. Or even invest in a cuticle oil, you won't look back. An essential that you should not skip. Base coats not only protect your nails from becoming stained but also provide the perfect layer for your nail varnish- making it look more opaque with just one coat. 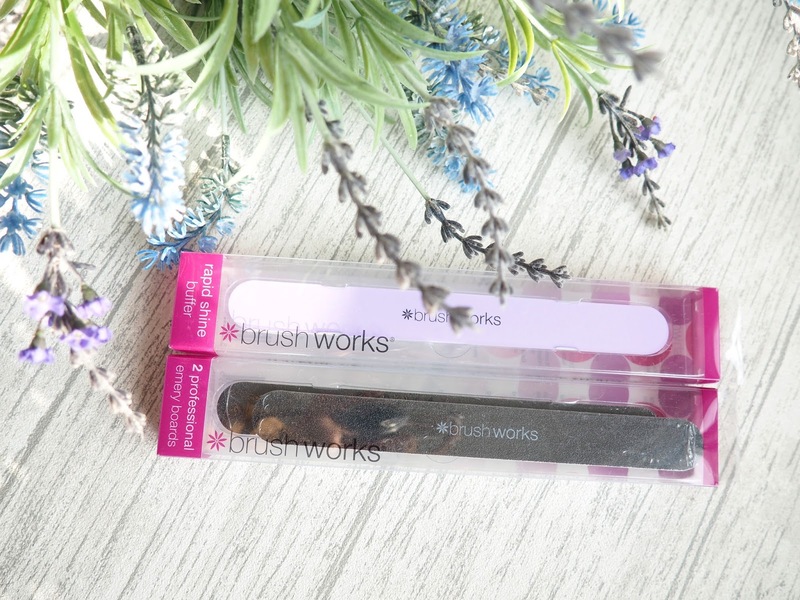 If you're feeling even more pampering how about adding a strengthener underneath too to get that added benefit. Although long lasting and convenient, regular use of these types of nail painting can cause damage and peeling to the nails. Make sure you take a break from them once in a while to let your nails regenerate and become strong and healthy again. Just how your diet can affect your skin & hair, it also plays a big part in the healthiness of your nails. Protein rich foods are recommended such as beans, fish & nuts. Supplements like Biotin, Vitamin E and fish oil can also help. What do you do to keep your hands and nails looking healthy? I'd love to know any products you swear by!